Original Sewing & Quilt Expo was started in 1995. With long hours, a little sweat and much laughter, our first event (then Original Sewing and Craft Expo) opened on Friday, October 13th, 1995 in Reston, Virginia. 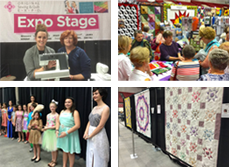 From the very beginning, Original Sewing & Quilt Expo has been committed to producing high quality events where participants feel welcomed and comfortable, and find inspiration and motivation to enhance the personal fulfillment and self-satisfaction pursuing their sewing interests yields. In response to quilters who wanted more, the name and composition of the show evolved to Original Sewing & Quilt Expo. In the Expo's classrooms, classes and workshops are crafted to provide an atmosphere of exploration and creativity in all areas of sewing, quiltmaking, machine embroidery, embellishment and related arts. The Exhibit Hall is carefully constructed to offer special exhibits, stage shows and the widest range of supplies, equipment and tools possible, which are sold through retail vendors from the US, Canada and around the world. The company's staff has evolved over the years, but still remains a small, closely knit and hard-working team. The makeup of its members mirrors a significant percentage of those who attend Original Sewing & Quilt Expo – in her sewing, quiltmaking, embellishment and/or machine embroidery interests, age, lifestyle and personality. 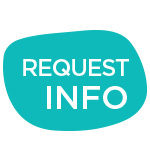 We share your passions, your attitudes, your dreams and your frustrations, and build events that help with your ability to reach maximum satisfaction and creative harmony with your sewing. Kari is a Registration Specialist for Original Sewing & Quilt Expo, and has been sewing for many years. She graduated with a B.S. Degree in Fashion Merchandising and worked for several years in retail department stores. Kari sews dolls, stuffed animals, and clothes, and also enjoys weaving, cross-stitch, embroidery, scrapbooking, painting and drawing. She is involved with the local historical society and has been a girl scout leader for three years. Her other hobbies include riding horses, helping her daughter show her dog and rabbit, gardening, and playing games and cooking with her two children. Liz grew up surrounded by excellent seamstresses. Her mother, grandmother, and great-grandmother shared their love of all the needle arts with her, as well as a very talented 4-H teacher/leader. In first grade Liz began with a stamped cross-stitch sampler and developed into a seamstress specializing in bridal attire. Liz came to us from Jo-Ann’s Fabric where she was an Education Coordinator and wrote sewing curriculum for national distribution. Prior to those opportunities she managed a Viking Sewing Gallery. She is married to an architect with a high tolerance for fabric and who doesn’t mind sharing the dinner table with the sewing machine. Jim and Liz have one son who’s a musician working in Columbus, Ohio and another son, also a musician, who is married to a lovely Army Captain living in Anchorage, Alaska. Mark Ingraham's career in the sewing and quilt industry began as a 6 year-old star attraction at his father's Singer store in Madison, WI. In this period Mark completed the world's longest buttonhole and later repaired sewing machines. Post high school Mark participated in various live events called Art Without Walls. After graduating from University of Pittsburgh, Mark worked with producers and directors to build audiences for Film Screenings, Off-Broadway and Broadway shows in New York City. On a break from his busy life in the city, Mark attended the newly established Expos in Reston, VA and Minneapolis, MN. Immediately, Mark recognized a place to share his talent, so he packed his suitcase and moved to Westlake, OH. Mark soon added his unique and progressive vision to the Expo. For more than fifteen years Mark has assisted hundreds of businesses and thousands of enthusiasts reach new plateaus in their sewing lives. Mark has a refined aesthetic judgement and a contagious sense of enthusiasm. His organizational and management strengths continually move the Expos in new directions. Mark and his wife Tina are the proud parents of two enterprising daughters – Angelina and Amy. He enjoys all styles of music, working with his hands, playing golf and coaching soccer. When her mother taught her to sew at the machine when she was 8 years old, neither had any idea where this hobby would lead so many years later. Marlene and her best friend both made royal blue poplin, sleeveless (with facings! ), zip-up-the-back A-line dresses as their first projects – and they were hooked! By the time high school rolled around she and her friends would often cut out and sew a new dress after school to wear the following day – set-in sleeves and all. Marlene sewed nearly all her clothes through high school, college and her working life. She attended the University of Wisconsin, Madison in the early 1970’s when Home Economics Education was still called just that, and has worked in the sewing industry ever since. Selling fabrics and sewing machines, eventually becoming one of the first female store managers for the Singer Company, she realized how attached to sewing – and the people who shared her interest in it – she had become. A move to the Cleveland, Ohio area in the mid-80’s proved it, when she decided to work for an independent sewing machine dealer just so she could meet and talk to women who sewed! As usual, she gravitated to others who enjoyed sewing too, and to this day she counts among her closest friends those she met because of her sewing passions. Her personal and professional activities have always involved some aspect of sewing, and include unique projects like Kid-Sacks™, a week-long production-line public volunteer project set up for a week to sew sleeping bags for homeless children in the Cleveland area. She was a founding member of the Professional Needle Guild, Inc., serving in many capacities as the organization grew, including as President. She and a friend offered small-group apparel sewing and serging classes for many years, during which time she also sold high-end fabrics to private clients. In 1993 she was hired as an educational consultant for a new public event being developed for sewing enthusiasts. When the company that owned the event decided after just two seasons to eliminate the division, she looked around and decided she could do it herself (along with Kathie Principe and a few others, of course), and Original Sewing & Quilt Expo was born. She founded MS. Productions, Inc. in 1995 and has enjoyed every minute – and every challenge – along the way. Perhaps her husband said it best when he encouraged her by adding: “You need a complex project like this to hold your interest.” And although it is complex, growing from just two other staff members in 1995 to ten office and nine on-site staff members today, she still thinks the best part is the chance to meet, share and make friends with all those thousands of sewing enthusiasts that come together in eight cities each year. Sue purchased her first sewing machine, a Sears Kenmore, in 1985, so she could mend her family’s clothing. She later purchased a Husqvarna Viking #1+ when it came out and hasn’t stopped sewing and embroidering since. She taught herself how to sew by watching others, asking questions, reading and a LOT of trial and error. One of her favorite sewing memories is getting together with her best friend for weekend sewing marathons, where they did nothing but sew quilt tops. Sue came to us from Husqvarna Viking, where she worked in repairs, software support and customer service. She spends her time in the office as a registration specialist and kit maker for the Expo. Sue sews for at least thirty minutes every day, and a ball of yarn and knitting needles can be found in her purse at all times! She enjoys spending time with her husband of 45 years, two beautiful daughters, two handsome grandsons and three grand-dogs. Monica maintains the Original Sewing & Quilt Expo website, designs much of the Expo's collateral materials and coordinates many of the projects you see at the Expo. A graduate of Bowling Green State University, she received a B.S. degree in Visual Communication Technology and Marketing. Chris grew up with a love of sewing. Initially learning from her mother, she created much of her own wardrobe and ultimately went on to receive a B.S in Fashion Design from the University of Cincinnati. In 1997, after a career in retail management, she responded to an ad about becoming an Educator with the Husqvarna Viking Sewing Machine Co., in Westlake, Ohio. She soon became an important part of their team, and spent several years traveling the country, sharing the love of sewing. As a member of the Education Department, she participated in dealer training and educational events for the public. She later moved into the growing software arena, testing, writing projects and training dealers in this new technology. As she started her family, she kept her connection to the sewing world intact and soon began working with Original Sewing & Quilt Expo. Her part-time status quickly changed to full-time, which in turn led to her current position as Director of Education. Today she works with all the wonderful Expo teachers and her co-workers to create exciting new workshops and seminars, bringing a robust and up-to-date schedule of classes to all annual Original Sewing & Quilt Expo events. Chris lives in Cleveland with her husband of more than 25 years (Brad) and son Caleb, now a junior in high school, and three cats. Chris is also an avid and experienced knitter, whose other great pleasure these days is cheering at Caleb’s ball games. Beginning in 1970, after graduating from the University of Wisconsin, Stan was entrenched in the sewing machine business. First with Singer retail store and district management for ten years, then continuing as national sales manager of wholesale distribution with VSM Sewing Inc. Stan ended his corporate career in February of 2009, just shy of 40 years in sales and marketing management culminating with Executive Vice President of Husqvarna Viking, Pfaff and Singer business and induction into the Sewing and Vacuum Hall of Fame. Helping independent dealers build profitable businesses while leading a national sales force, and creating new marketing programs was Stan’s mission for all of those years in the industry. Joining the family business was a natural move, although his wife, son and an extremely professional and knowledgeable staff have developed the very best consumer sewing and quilting expos in the country. In the future Stan will help guide the company forward to meet new challenges and explore new opportunities in the sewing and quilting industry. Kathy is one of America’s foremost authorities in the field of heirloom sewing by machine and by serger. She teaches beginning and advanced sewers from every corner of the world, and inspires a new level of confidence in her students. Kathy directs sewing and serging events for Martha Pullen Company held across the United States, and is the director of Martha Pullen’s Teacher Licensing Program, both the live retreats and online formats. She is the leader of a team of outstanding faculty for all the Martha Pullen Licensings – Retreats, Express and Online. Kathy can also be found teaching at Original Sewing & Quilt Expo as well as the Martha Pullen School of Art Fashion Boutique. Susan was a volunteer for the first Expo in Reston, VA in 1994, and now works as the On-site Registration Manager. She began sewing in 6th grade, and has enjoyed taking classes and becoming a certified instructor from well-known educators. She has made many garments for her three children who have given her eight grandchildren to sew for. Her sewing interests run the gamut from garments, quilts, and heirloom to collecting fabrics and machines. Her greatest achievement has been a beautiful Martha Pullen christening gown with lots of lace and machine embroidery. In addition to traveling with her husband to places like England, Australia, Germany, Switzerland, Japan, Italy, France and Hawaii, Susan works and teaches part time at her local Husqvarna Viking dealer, Tomorrow’s Treasures, in Crofton, MD.